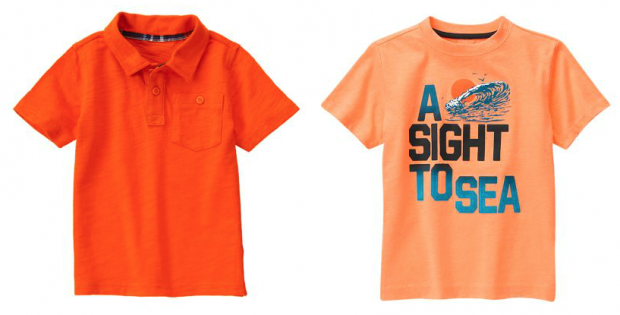 Boys Tees and Polos $5.99 & Up At Gymboree! You are here: Home / Great Deals / Boys Tees and Polos $5.99 & Up At Gymboree! Twice a year sale at Gymboree.com. Entire site up to 75% off! Items starting at $2.99! You can get this Pocket Polo Shirt and A Sight to See Tee for just $5.99 each! Click here to check out more Great Deals!